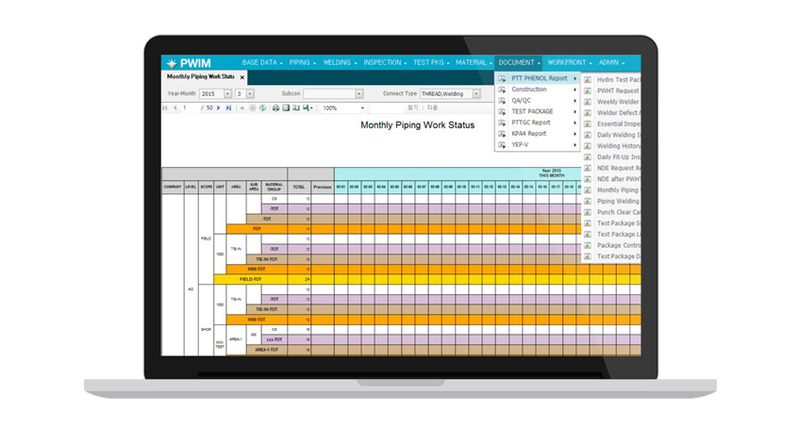 PWIM is the solution managing the piping work process efficiently. This is one of plant piping work data management solution with SPacK, Weldy. 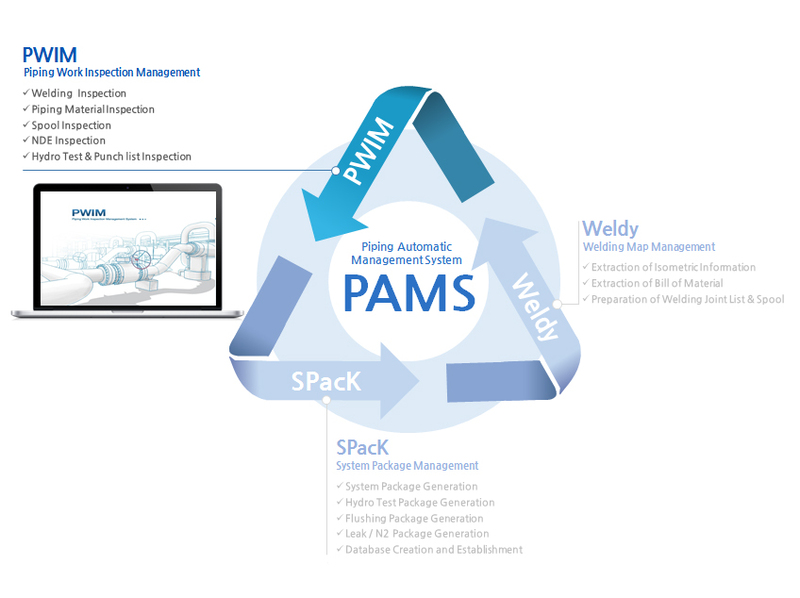 (Consisting of PAMS [Piping Automatic Management System]) Main features of PWIM are Piping Data Management, Welding Log management, Inspection, Test Package, Report. Because each process has multiple Accept/Rollback confirm function, process will be confirmed strictly and safely. Improved accuracy of data management minimalize the human error from repetitive tasks. PWIM is able to efficiently manage the work and monitoring by reflecting the progress of piping work in real time. ① Summary: Viewing of progress status ② Status: Viewing of Process each Stpes and its status. Function customizing regarding to field's requirement. ① Authorization of Read/Write in each menus. ② ISO Authorization of Co-work company by using ISO Privilege function. ③ Newly required Function Customizing available. ① Variable search condition can make data management more easily. 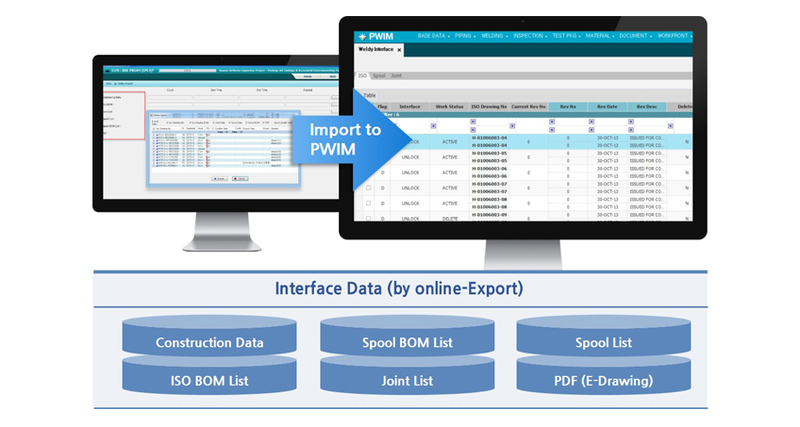 Through DB Server, Exported Piping work drawing data & BOM List from Weldy is assigned to PWIM automatically. Not the existing Log based system, double check system of each phase and strict authority management minimalize defection rate. 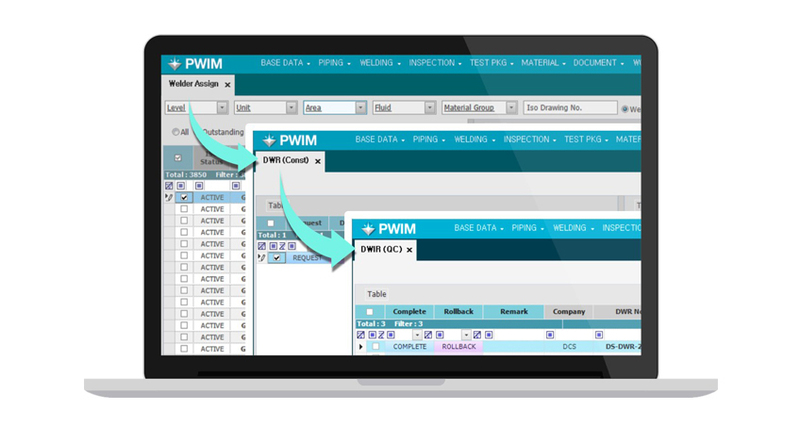 PWIM provide Variable report template suitable for field situation & free column customizing function.